My Save as dialog doesn't show the desktop! 185. How do I access my home directory? See also: How do I mount my home directory or shared storage at HNAS? See also: How do I use offline files? 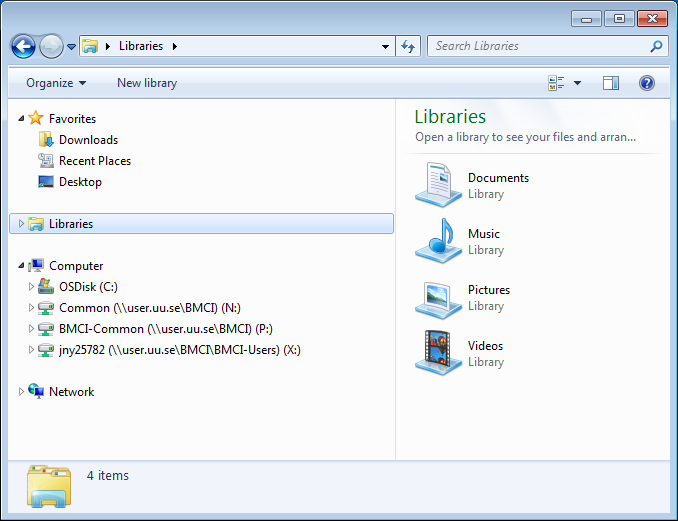 Open the Explorer in Windows and look for X: and P:. Store your personal stuff on the file server in X:. The P: is used for shared (public) storage between members in a group or at the university. On some computers (all the new ones) the desktop is also stored on the file server. Check if you put stuff on the desktop it also shows up on X:\Desktop.